Reports suggest that Arsenal will not look to sign a replacement for Hector Bellerin despite the Spaniard picking up what looked like a serious injury on the weekend (via Sky Sports). The 2-0 victory over Chelsea should have been a perfect Saturday evening for Arsenal fans but many have grown concerned by the injury picked up by one key player. Hector Bellerin has only just returned from a muscular problem but was stretchered off in the second half clutching his knee. “We are going to wait until tomorrow,” Unai Emery said after the match. The transfer window is still open so the Gunners could sign a replacement but Sky Sports has claimed that the club aren’t planning on doing that, something which Emery suggested. “We have Ainsley [Maitland-Niles]. He is playing with good pieces, today also he played well I think. He can help us by playing like a right back or a right winger. Hector Bellerin’s injury certainly bore a resemblance to a ruptured anterior cruciate ligament (ACL) but the NFL physician Dr David Chao suggested that it could be a tear to the quad tendon, a problem with just as serious a layoff. 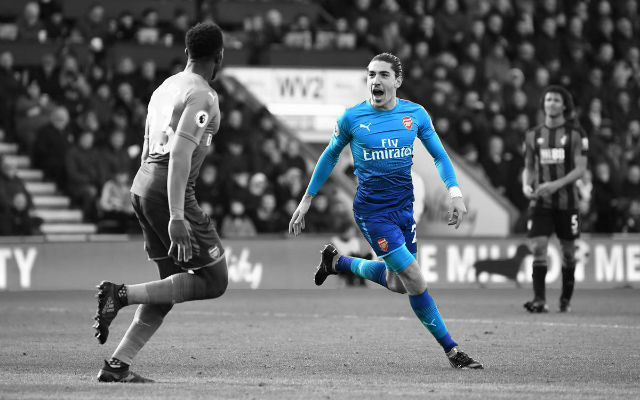 Whatever the problem, it seems likely that Hector Bellerin will miss a considerable amount of time which is a real disappointment for the Gunners.